Need a new boiler in Pontypool? Get FREE no-obligation quotes now! 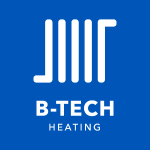 Our company offers boiler replacements and all full installations of gas central heating systems. steve williams and son.Specialist heating installation.fault finding.servicing and maintenance.All work fully guaranteed. Friendly and reliable service with a good reputation, high quality of work, pubic liability insured and all work guaranteed. Gas boiler installation company based in Caerffili. A small local tradesman in business for nearly 30 years serving customers with good quality work at reasonable prices.